Nearly 10 million Brits travelled overseas in the last year and were not covered by a travel insurance policy, leaving them at risk should something go wrong. Figures from the travel association ABTA reveal that two in five holidaymakers went abroad without the right insurance cover, were involved in activities that were not covered as part of their policy, or didn’t have any cover at all. It may be impossible to predict the future, but insurance is designed to protect you as far as is possible from unforeseen events. Reduce the likelihood of potential financial hardship in the event that your trip does not go as planned by giving the following careful consideration before you travel. One in seven people said they didn’t take out travel insurance as they had cover via their bank or credit card – however, this type of cover may not provide protection in all circumstances. Certain activities, even one as basic as cycling, might not be covered, while there may also be other qualifying criteria that an individual must adhere to. This could relate to age, geographical location, health or any other factor listed in the small print – and may mean the cover is not adequate for your needs. The average travel insurance claim can approach £1,300, while in the event of costly medical treatment or even repatriation, that figure can increase to tens of thousands of pounds, meaning you can probably ill-afford to not have sufficient cover. ABTA Chief Executive Mark Tanzer has warned that mistakes with insurance policies can be extremely costly, which is why it’s key to check what cover you have. According to the study, while 22% of Brits were totally uninsured, a further 27% invalidated their insurance by failing to declare existing medical conditions or by doing things that were not covered by their policy. It’s a common misconception that travel insurance won’t cover pre-existing medical conditions, but that couldn’t be further from the truth. However, it is important that you always declare absolutely everything – even if you think your ailment is something fairly minor. 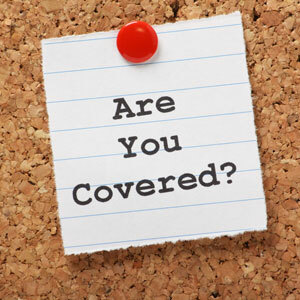 You can then be confident that the insurer is aware of your specific needs and is able to determine the risk imposed. If you have an annual travel insurance policy, you’ll also need to keep your insurer updated regarding any health developments that may take place during the period of cover. A failure to reveal all details can result in a policy being void, meaning you may need to pay for medical treatment or trip cancellation costs. You should declare any medication that is prescribed by a doctor and should mention any other long-term health conditions, even if you are not regularly affected, or believe them to be under control. Common ailments that travellers failure to declare include skin cancer, heart attacks, blood clots, breast cancer, asthma, high blood pressure, irritable bowel syndrome, depression and high cholesterol. If you have recurring medical conditions, often from within the last two to three years, then they should also be declared prior to travelling. Our partner insurance provider, BrokerSure offer a range of excellent travel insurance products including cover for those with pre-existing medical conditions. If you are interested in obtaining an online quote, just click here. If you’re venturing into Europe, you should have your EHIC in your possession – but it isn’t a substitute for travel insurance cover. You should be able to access state health care with the card in any of the 28 EU countries, as well as in Iceland, Liechtenstein, Norway and Switzerland. But it won’t necessarily be free – costs such as air ambulances, extra accommodation or private treatment must be funded from your own pocket. Applying for an EHIC is free in the UK, but you’ll need to renew it regularly as it only lasts for a period of five years. To apply online, visit the official government website for EHIC. Medical bills can run up to thousands of pounds in some countries, especially if you need expert medical care, while travel insurance can also protect against lost luggage or unexpected cancellation. This is why it is so important to do your homework. Understanding your policy and knowing what it will or will not cover you for will not only increase the likelihood that you will find travel insurance tailored to your individual needs, it will give you that all so important peace of mind. For more travel news and helpful tips, just check out our social hub or follow us on Twitter for all our latest travel advice @QuestorIns.